AGBEMϽ (The vicissitudes of Life)Agbemɔ (The vicissitudes of Life) is a story about a man who is imprisoned for a crime he has not committed. Botchwey, G (2017-forthcoming: submitted to CODESRIA for peer-review and publication) Access to Information and Public Services Delivery: User Perceptions of Data Integrity and Protection in Ghana. Botchwey, G (2017 forthcoming: under review by an Academic Journal) Reaching the Poor or the ‘Well-connected’? The Politics of School Feeding in Ghana. Botchwey, G and Crawford, G (2016) Impact of Small-scale Mining on Education and Livelihoods in Ghana, International Journal of Educational Leadership, Volume 7, Number 1, June 2016, Pp:105-116. Botchwey, G (2014) Granting Voice without Power? An Interrogation of Ghana’s Decentralisation Conundrum. The Social Educator, Vol. 4, Issue 2, pp.64-84. Botchwey, G (2014) Challenging our Simplistic Notions of Community? A Snapshot of Dynamics and Livelihood Struggles from Dumase Community, Ghana. Ghana Journal of Development Studies, Vol. 11, No. 2, pp.14-32. Botchwey, G (2011) Intersections in Community Development and Decentralisation: experiences from Ghana, The University of Leeds (PhD Thesis). Botchwey, G (2006) Steps to Self-reliance for Groups and Communities, CMP, Cape Coast. The library holds some materials in electronic format. Our e-Resources include full-text journals, dictionaries, encyclopedias, economic data, etc. and the Online Library Catalogue – WINNOPAC. 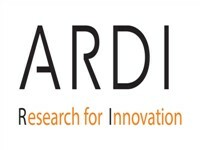 ACCESS TO RESEARCH FOR DEVELOPMENT AND INNOVATION (ARDI)The Access to Research for Development and Innovation (ARDI) provides access to scholarly literature that are critical to the innovation process in major scientific and technical journals in fields such as biotechnology and organic chemistry. 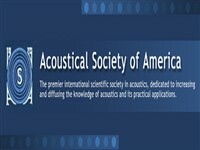 ACOUSTICAL SOCIETY OF AMERICA (ASA)The Journal of the Acoustical Society of America contains news items of interest to acoustical scientists, book reviews, references to contemporary papers in acoustics, reviews of acoustical patents, and news on the development of standards. 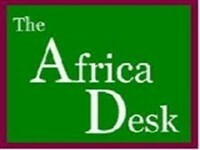 AFRICA DESKThe Africa Desk is an online portal, facilitating collaboration between social sciences and humanities scholars in Africa and the UK. 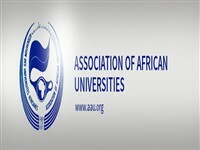 African Journal Online (AJOL)African Journals Online (AJOL), a multi-disciplinary database of African-published peer-reviewed scholarly journals. 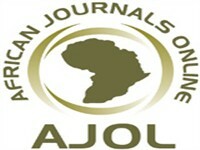 AJOL provides free online hosting peer-reviewed journals from 31 African countries. 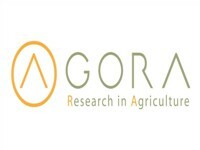 AGORAAccess to Global Online Research in Agriculture (AGORA) provides free or low cost access to major scientific journals in agriculture and related biological, environmental and related social sciences. 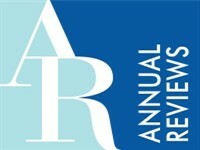 ANNUAL REVIEWSAnnual Reviews provides a comprehensive, timely collection of critical reviews written by leading scientists for 46 focused disciplines within the biomedical, life, physical, and social sciences including economics. BioOneBioOne is an open resource that provides access to over 140 journals with full text peer- reviewed research articles focused on the biological, ecological, and environmental sciences. Britannica Online Academic EditionBritannica Online Academic delivers fast and easy access to high-quality, comprehensive information. The combination of the Encyclopædia Britannica and Merriam-Webster’s Collegiate Dictionary and Thesaurus, magazines and periodicals, editorially reviewed websites and many other research tools provides the variety of reliable sources students need for research—all in one place. 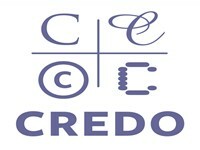 Credo Online ReferenceCredo Reference offers online reference access to over 622 electronic reference books on most subjects, including encyclopaedias, dictionaries, thesauri, biographical sources, quotations, medicine, literature, music, technology, and many other interdisciplinary sources. It has images, video and audio on all subject areas. Database of African Theses and Dissertations (DATAD)Contains citations and abstracts for theses and dissertations completed in African universities. 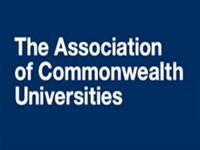 DATAD includes works from all subject areas in ten leading universities and includes abstracts written by the authors. 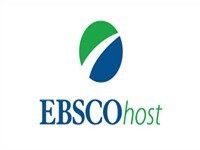 EBSCOHostEBSCOHost is the interface for databases the Library subscribes to from EBSCO Publishing including Academic Search Premier, Business Source Premier, Religion and Philosophy Collection, EconLit and others. EBSCOHost provides access to over 10,000 e-journals on a wide range of subjects. Includes specialist databases for business & economics, media, languages and social sciences. 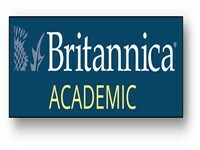 Encyclopaedia Britannica OnlineExplore the updated online Encyclopædia from Encyclopaedia Britannica with hundreds of thousands of articles, biographies, videos, images, and Web sites. Google ScholarGoogle Scholar provides a simple way to broadly search for scholarly literature. From one place, you can search across many disciplines and sources: articles, theses, books, abstracts and court opinions, from academic publishers, professional societies, online repositories, universities and other web sites. Google Scholar helps you find relevant work across the world of scholarly research. 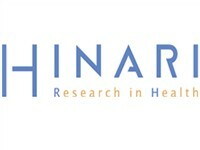 HINARIHINARI is a World Health Organisation (WHO) project partnered by international publishers to assist developing countries have access to biomedical and healthliterature. 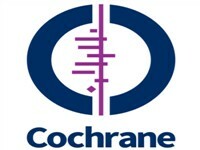 The database has about 12,700 journals, 24,900 e-books and about 70 other information resources. 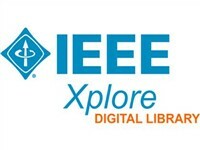 Institute of Electronic and Electrical Engineers (IEEEXplore)IEEE Xplore is a digital library providing full text access to technical literature in electrical engineering, telecommunications, computer science & architecture, remote sensing, software engineering, artificial engineering and electronics. IEEEXplore contains full text documents from IEEE journals, transactions, magazines, letters, conference proceedings, standards, and IET (Institution of Engineering and Technology) publications. 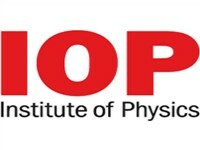 INSTITUTE OF PHYSICSAccess full text articles from Physics Education, the international journal for everyone involved with the teaching of physics in schools and colleges.Subject coverage include applied physics, computer science, condensed matter and materials science, high energy and nuclear physics, mathematics, applied mathematics and mathematical physics, measurement science and sensors, medical and biological sciences, optical, atomic and molecular physics, physics education and plasma physics. JSTORA trusted digital archive that cuts across disciplines and includes full text to more than 2,000 academic journals, dating back to the first volume ever published. JSTOR provides full-text online access to back issues of selected scholarly journals in the humanities, social sciences, law, international relations, political science, and governance. 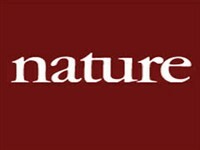 Nature Publishing GroupNature Publishing Group (NPG) publishes journals and online databases across the life, physical and applied sciences and, most recently, clinical medicine. 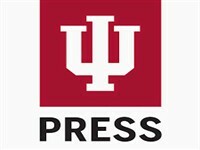 Content encompasses daily news from award-winning journalists, expert opinion and practical methodology, and more high impact research and reviews than any science publisher. Over 30 journals are published in association with prestigious academic societies. 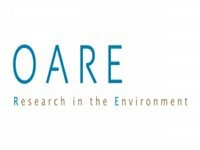 Online Access to Research in the Environment (OARE)A Resecrh4Life database offers full text to environmental science research. 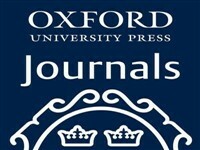 OUP-Oxford JournalsOxford Journals provides access to full text articles and abstracts in more than 100 journals. Coverage includes: biological sciences, medicine, public health and epidemiology, humanities, social sciences, law, economics, business, and finance, mathematics, statistics, computing and physics. 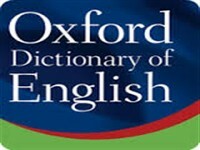 Oxford English DictionaryOxford English Dictionary (OED) is a subscribed service and viewed as the authority on the English language. It is an unparalleled guide to the meaning, history, and pronunciation of 600,000 words— past and present—from across the English-speaking world. It also offers the best in etymological analysis and in listing of variant spellings, and it shows pronunciation using the International Phonetic Alphabet. 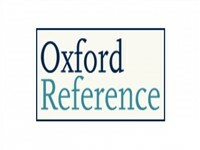 Oxford Reference OnlineOxford Reference provides quality and up-to-date dictionaries and encyclopaedias in all subjects. It offers a collection of over 100 reference titles, for a wide range of subject areas; including: language, art & architecture, history, literature, politics & social sciences, religion & philosophy, economics & business and law. 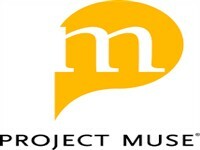 Project MUSEProject Muse provides access to over 200 journals from the humanities and social sciences collections of journals mainly in the Arts, Law, Humanities and SocialSciences. Sage Online JournalsProvides access to over 560 journals in Business, Humanities, Social Sciences, and Science, Technology and Medicine – Full text. 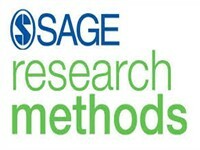 Sage Research Methods Online (SRMO)Sage Research Methods Online offers full text materials on research methods, major research paradigms, cognitive research, qualitative and quantitativeresearches as well as designing research questions. ScienceDirectScienceDirect hosts and provides access to over 3,800 journals and more than 35,000 books focused on scientific, technical and health information. 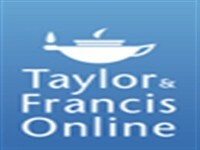 Taylor & Francis OnlineTaylor & Francis Online is a multi-disciplinary database that offers full text, abstracts and citations of articles. It covers more than 1,300 titles in the humanities, social sciences and applied sciences. 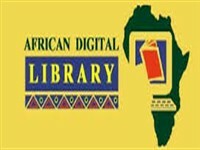 The African Digital Library (ADL)The African Digital Library offers free access to anyone living in Africa in the area of Education in Africa and Development in Africa. It contains more than 8000 full-text books and around 2400 free journals. Wiley – BlackwellWiley Online Library is a leading international resource for scientific, technical, medical and scholarly content providing access to millions of articles across a wide range of journals. 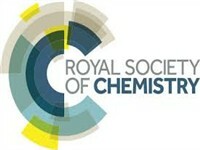 The Subject Strengths are Chemistry & Physics, Computer Science, Engineering, Life, Earth and Environmental Sciences, Mathematics & Statistics, Medicine & Nursing, Physics and Astronomy, Polymers and Materials Science. WINNOPACWINNOPAC is the University of Education, Winneba Library’s Online Public Access Catalogue that contains over 41,500 bibliographic records, with more records being added on a daily basis. It provides records on books and journals in all subjects areas relating the programmes offered at the University. 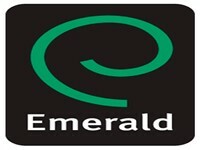 It also contains records on magazines, reports, CDs and Video recording. Search for the availability of any library material using your computer or Smartphone. WORLD BANK ELIBRARYThe World Bank e-Library is an electronic portal to the World Bank’s full-text collection of books, reports/working papers, journals and other documents on social and economic development. It offers fully indexed and cross-searchable database of 6,000+ books, reports, journals, and working papers, as well as every new title as it becomes available in print. 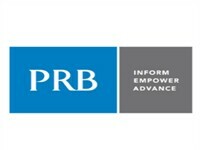 WORLD BANK PUBLICATIONSFind information about and get access to the latest and most important publications from the World Bank Group. WORLD BANK-AFRICA DEVELOPMENT INDICATOR(ADI)Africa Development Indicators is the premier data source on the African economy. It contains over 1,400 indicators and time series from 1965 for 53 countries. WORLD BANK-THE GLOBAL DEVELOPMENT FINANCE(GDF)GDF is an electronic data source on the external debt and financial flow data. GDF Online includes over 200 indicators. WORLD BANK-THE GLOBAL ECONOMIC MONITOR(GEM)The GEM, conceived by the World Bank team is responsible for monitoring and reporting on day-to-day developments in the global economy. It is a “one-stop shop” portal for analysis of current global growth trends, industrial production, international trade, oil and non-oil commodity markets, financial markets as well as currencies. WORLD DEVELOPMENT INDICATORS(WDI)An electronic data source on the global economy published by the World Bank, WDI contains statistical data for over 550 development indicators and time series data from 1960-2003 for over 200 countries and 18 country groups. Data includes social, economic, financial, natural resources, and environmental indicators.